As we approach the 2019 federal election, a number of key issues continue to impact the entire fresh produce supply chain in a Canada – taxes, labour, trade and many others. It is crucial that the produce industry is active in outreach to government to ensure that fresh produce industry needs are recognized in these efforts. 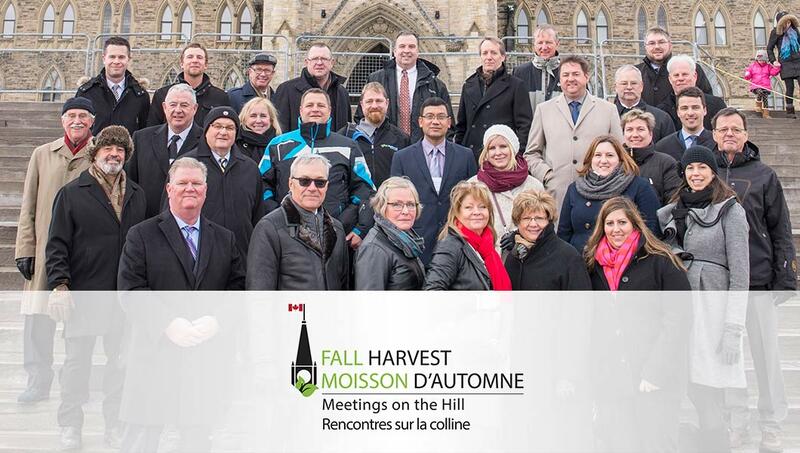 On November 5-7, 2018, members of the Canadian Produce Marketing Association (CPMA) and the Canadian Horticultural Council (CHC) will conduct three days of focused advocacy work on Parliament Hill, lobbying parliamentarians on these issues on behalf of Canada’s fruit and vegetable industry. This event will be followed next spring with an Ottawa event to refresh parliamentarians about our key issues. Our meetings are proven to work. Our advocacy in Ottawa led to several recommendations being included in the House of Commons Finance Committee’s pre-Budget 2018 report to the Finance Minister just one month after Fall Harvest 2017. All CHC members are encouraged to participate in this advocacy event. Our success depends on your financial support. Your sponsorship will help turn a modest budget into activities and communication materials that parliamentarians and government regulators will remember long after our meetings are over. To support success, we are offering three sponsorship options: a $5,000 sponsorship to be split between Fall Harvest and our spring 2019 parliamentarian event, a $3,000 Fall Harvest sponsorship, or a $1,000+ Fall Harvest sponsorship. Sponsorships help defray the costs of meeting space downtown, communications and marketing, AV and a unique reception for parliamentarians and political staffers. Recognition through CPMA and CHC’s various social media channels. Most important, your contribution will allow participants to positively influence key decision makers on behalf of Canada’s fruit and vegetable industry. Without your help, we will not get the face time or logistical support we need. Please support CPMA & CHC Advocacy events by pledging your donation today. Contact the CHC Communications Manager at communications@hortcouncil.ca, or by phone at 613-226-4880 ext. 218 to sponsor Fall Harvest 2018.